Watch The Doll Case Company Archives of Older Product Videos by TDmonthly. 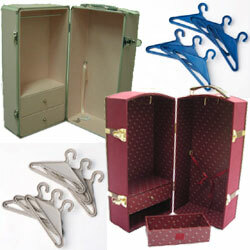 The Doll Case Company has been designing our quality doll carriers since 1998. We have grown over the years, adding new designs and fabrics. Our Doll Duffels® were designed for lighter travel. The debut was at the International Toy Fair in New York City in 2006. 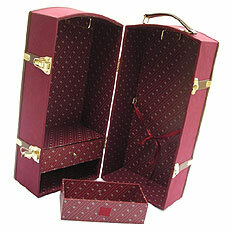 It was a new concept to carry and store dolls with a price tag that made it a great gift item! Our business has grown dramatically over the past years - from a small Web site offering only offering our styles to becoming one of the leading online retailers for top-rated doll trunks and carriers and other doll items according to availability from trusted manufacturers. The Doll Case Company is the place where you can find everything you need for safe travel and storage for you favorite dolls and their accessories! From hangers, to trunks, to our patented Doll Duffel®, we have the products to create a personalized complete doll storage system! 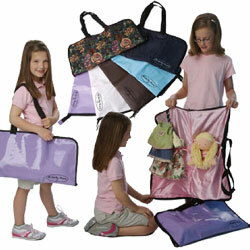 Our doll carriers are available at our website (www.dollcase.com) and specialty stores. Doll Duffels Doll Duffels in 8 colors including genuine leather.